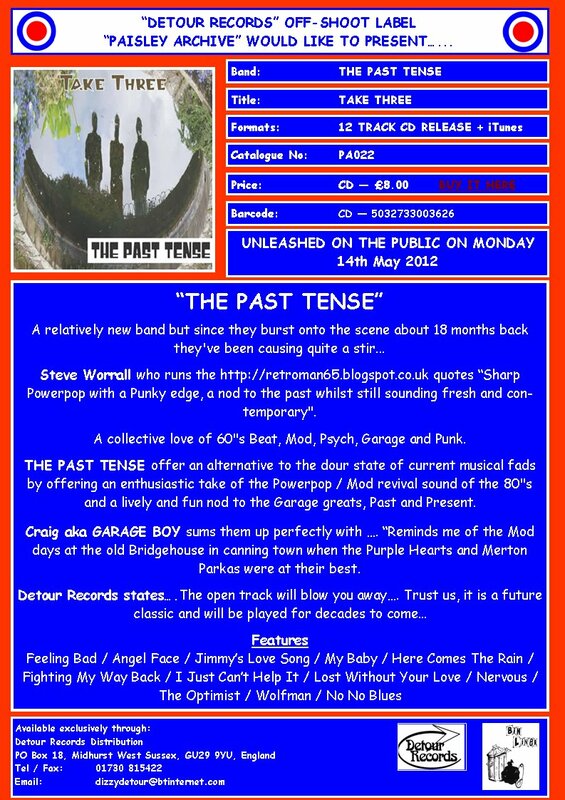 Retro Man Blog: The Past Tense new album "Take Three" out on May 14th! The Past Tense new album "Take Three" out on May 14th! Retro Man Blog favourites, The Past Tense, will release their debut album "Take Three" on the excellent Paisley Archive/Detour Records on May 14th. If you want a taster of the album, then come along to The Half Moon in Putney this Friday, May 04th, and you can catch the band in their element live on stage, along with The Jetsonics and the fabulous Len Price 3. You can order the album from Detour Records HERE.